Custom Electric & Plumbing, Inc. When selecting an electrician or plumber for service in Greensboro, you want one who is knowledgeable and educated in his field. When you call, ask them when was the last time they sent their technician (s) to school. The North Carolina licensing board for electrical examiners requires continuing education for the license holder only, not for the technician. We all must stay up to date with code changes in our field, not just the license holder for the company. Hire an electric company who invests in their employees technical skill through knowledge. At Custom Electric & Plumbing, Inc. we continually keep our electricians and plumbers trained with classes from our local colleges. When new technology comes out we are educating ourselves about it so we may serve you better. At Custom Electric of NC, our electricians provide stand-by electrical power to your home to help you weather the storm. Power outages in your home become a thing of the past. Keeping your freezer cold in the summer and your heat on and warm in the winter. Portable generator installation is another option for maintaining power to the vital loads when the power goes out. 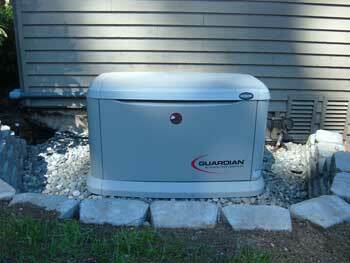 Simply plan ahead for that inevitable occurrence or a power outage and get a generator installed today. 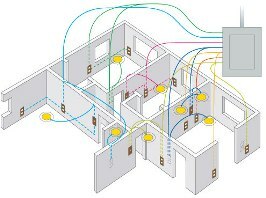 Proper electrical wiring in your home is vital to safety. Improper electrical wiring and inadequate breakers can lead to fire and electric shock. Today’s electric code must be complied with to minimize the safety hazards of electricity in our home. From the electrical service entrance or main breaker panel to the light switch for the ceiling fan, attention to detail is critical. At Custom Electric of North Carolina our electrician does it right the first time. Custom Electric & Plumbing, Inc. is a full service electrical and plumbing contractor with highly trained electricians and plumbers. Locally owned and operated in Greensboro, NC. Tesla : we are the only local recommended electrician – we continually train on the Tesla platform to stay up to date on the continuously changing wiring methods and installation of the Tesla wall connector and Tesla Nema 14-50 power outlet. BMW electric vehicle and hybrid electric vehicle charging station wiring and installation. Universal electric vehicle charging equipment wiring and installation for a better price point on vehicle charging without all the bells and whistles. Custom Electric & Plumbing, Inc. is a fully insured Electrician and plumber service. Custom Electric & Plumbing Inc. electricians can add a dedicated electrical circuit to allow more convenient location and quantity of electrical power in your home or business. Higher power capacity available to service your equipment such as your microwave, space heater, or power tools. Reduce overloads causing annoying breaker trips or fuse blows. Ensure a breaker trip does not affect essential loads such as your refrigerator or freezer. Also check out our partner, Custom Construction and Renovations, Inc. for all of your home remodeling needs. Also check out our partner, Greensboro Cabinet and Countertop, Inc. for all of your cabinet, vanity, furniture, and closet system needs. Service areas include: Greensboro, Irving Park, High Point, Kernersville, Jamestown, Oak Ridge, New Irving Park, Sunset Hills, and Summerfield. Zip codes include 27262 27265 27282 27284 27410 27408 27403 27410 27409 27357 27358 and 27310. The new backup generator you installed in my home gives me the peace of mind that my family will always have electric power. My whole neighborhood lost power last week during these storms and we didn’t. No wasted food, or loss of comfort. My new custom generator system didn’t miss a beat. I don’t know how we ever lived without one. My wife and I are so pleased with the way your company walked us thru the process and the crew was very professional. We will tell our friends and neighbors. Feel free to use this comment on your website. My outside outlet was not working so I called Chris at Custom Electric. He returned my call in a timely manner and walked me through fixing it without them having to come to the house. My issue was resolved in a matter of minutes and I was not charged a fee. Thank you Custom! I had some major electrical issues crop up this summer. With a baby in the house and temperatures in the high nineties, I need it fixed, and fast. Chris managed to wrangle permits and the power company and got my power back on quicker than I would have thought possible, and for a reasonable price. Custom is now my go-to company. Very impressed with the service provided. Herb was wonderful. Would use again and recommend to everyone. 10 out of 10.